The standardized labels are the #1 solution that helps people recycle more and helps people recycle right! They are being used by some of the most notable organizations in the world and are dramatically increasing their recycling levels and saving them thousands of dollars in landfill fees. 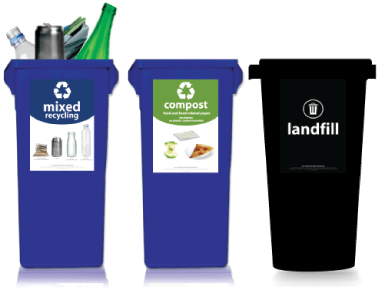 There is a standardized label available to meet nearly every unique sorting requirement in the U.S. Also, the labels come in many different shapes and sizes to work with all types of bins. Additionally, you can special order the standardized labels in unique sizes and printed on many types of materials such as aluminum signage, vinyl banners, foam core, PVC signage and magnets.